Perfect for travel, the X-Drop System is the lightest on the market weighing under 3 lbs. 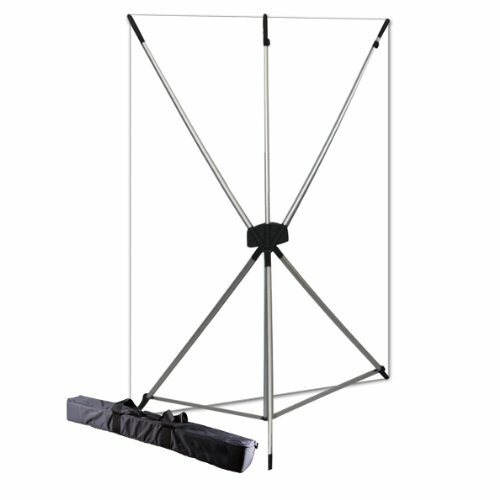 This unique all-in-one system provides quick set up and tear down with telescoping legs and arms fitting backdrops up to 5' x 7'. The kit includes a 5' x 7' backdrop that incorporates grommets along the top and bottom for easy hanging and a taught fit. Backdrops are machine washable in cold, tumble dry low. The included expandable carry case is perfect for travel and can fit the X-Drop system and up to 3 backdrops.